Watch Sydney, Australia Teaser Now! Costa Mesa, CALIF (April 11, 2018) – Vans BMX Pro Cup, the world’s leading platform for elite BMX park terrain competition, enters its second season announcing the pre-seeded World Championship Tour invitees for the 2018 Pro Tour series commencement in Sydney, Australia on April 27 – 28. The 2018 Vans BMX Pro Cup Tour Pros are selected from the top 10 riders from the 2017 Vans BMX Pro Cup point standings. The Tour Pros are pre-seeded directly into the semi-finals at every Pro Tour event, and are also pre-qualified for the 2018 series World Championship finals. The Tour Pro roster will expand throughout the season with the addition of the top three podium winners from each regional qualifier, who will advance to the Vans BMX Pro Cup Pro Tour, and also secure their invite to the Vans BMX Pro Cup World Championships. The following pre-qualified Tour Pros, including 2017’s Vans BMX Pro Cup World Champion Larry Edgar, will meet 20 stop invitees, top 3 podium winners from the Chile regional qualifier, and 7 Australia regional qualifier advancers for a complete roster of 40 elite BMX riders, to kick off the series’ first Vans BMX Pro Cup showdown of the year on Saturday, April 28. 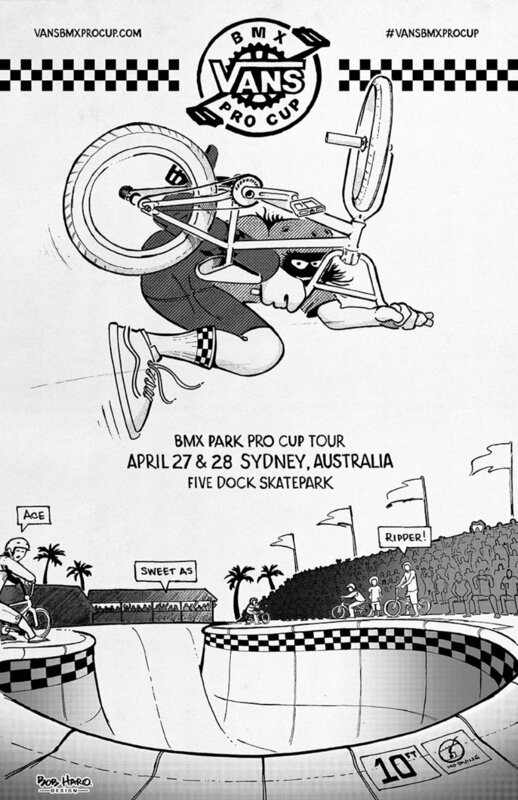 The 2018 Vans BMX Pro Cup series opens in Sydney, Australia and embarks on a four-stop global tour, welcoming a top-ranking competitive field of invited pro BMX riders and Wildcards to compete on the world stage for a piece of the grand $155,000USD prize purse. The World Tour will culminate with the Vans BMX Pro Cup World Championships for Men and Women in Málaga, Spain on September 23 to crown the official 2018 Vans BMX Pro Cup World Champions. For new updates and more information on competition format, locations, athletes, tour highlights, photos, videos and more, please visit www.vansbmxprocup.com. The Vans BMX Pro Cup series debuted in 2017 as the world’s definitive platform for BMX park terrain competition, showcasing the most talented BMX athletes from across the globe. 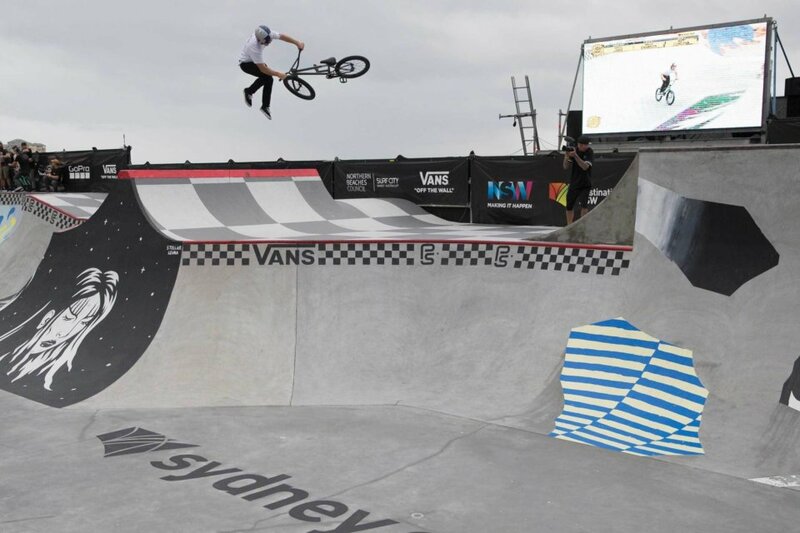 The Vans BMX Pro Cup kicks off its second season in Sydney, Australia as the series embarks on a four-stop world tour, concluding with the crowning of the 2018 Vans BMX Pro Cup World Champion in Málaga, Spain. For more information on competition format, locations, athletes and sanctioning, please visit vansbmxprocup.com.